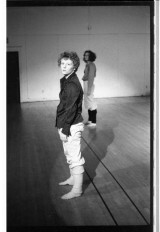 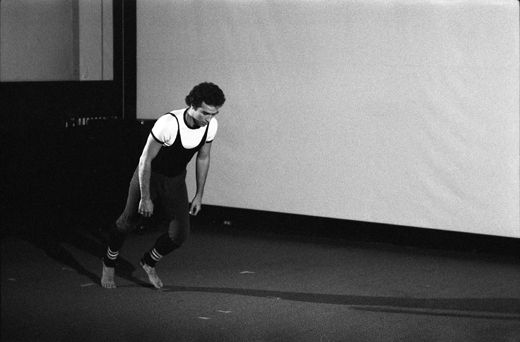 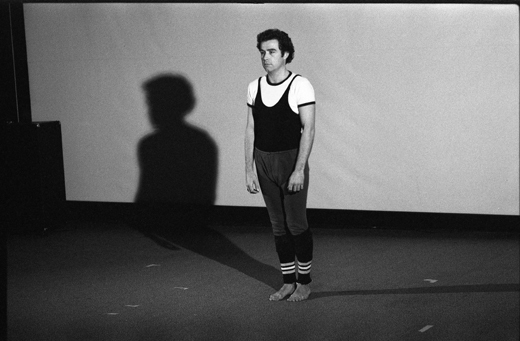 MOVEMENTARTS (1979), is an early example of collaboration between media and dance. 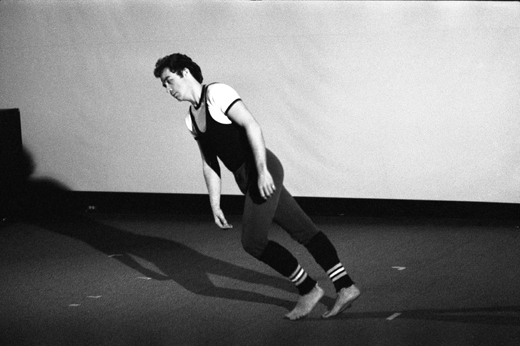 MOVEMENTARTS was the name of both a series of dance classes hosted by Western Front and Vancouver Community College from 1977-1982 exploring movement, mime, and contact improvisation, as well as a series of solo dance works by Jane Ellison, Michael Brodie, and Peter Ryan that experimented with the choreography of the camera. 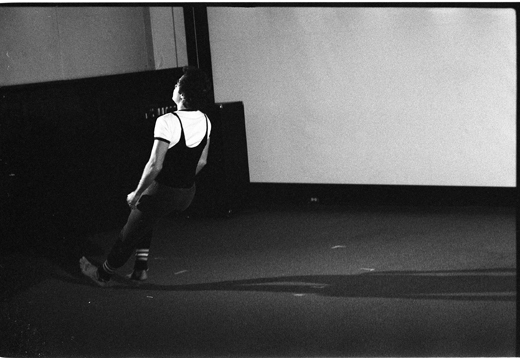 The recorded documents play with movement, time, framing and illusion, and signify the convivial and technically experimental atmosphere of the time. 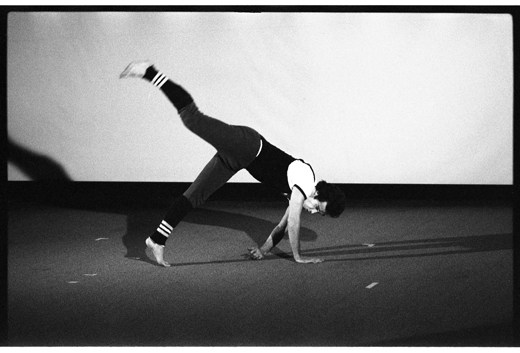 An excerpt of Ellison’s MOVEMENTARTS (1979) movement studies can be found here. 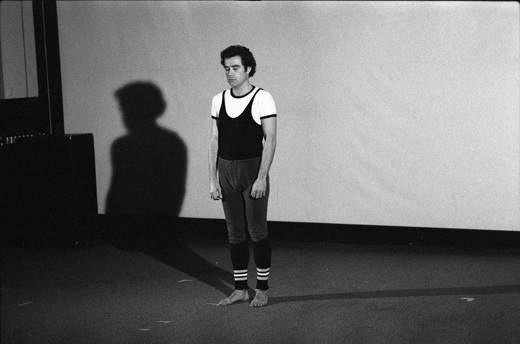 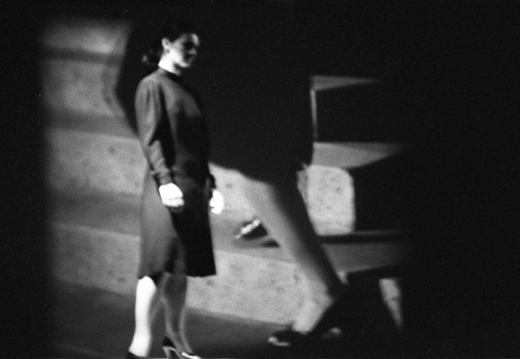 Solo performance works by Michael Brodie, Peter Ryan, Jane Ellison, using film photographs and videotapes, including a tape of Morley Wiseman and his work. 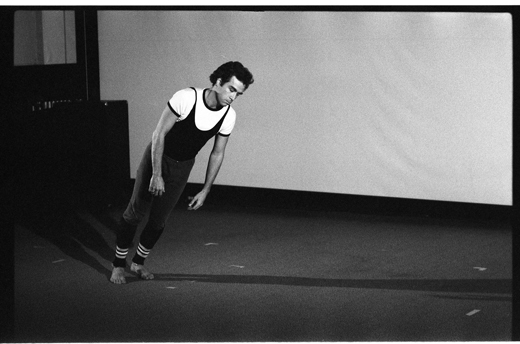 Work is edited work tapes created by Movementarts between September and December 1979. 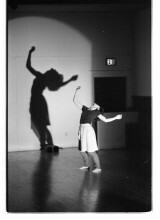 It was created as part of a Canada Council for the Arts explorations grant for experimentation with movement and video.